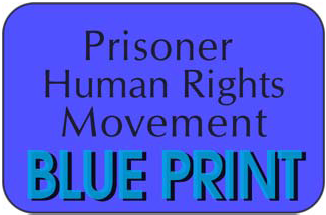 Liberated Lens was with us in Sacramento on, Nov 30th, the 119th day of sleep deprivation in Pelican Bay SHU. The torture, waking people up every 30 minutes- 48 times a day- is still going on. It is now 132 days and nights. It must stop. We need to amp up our opposition. 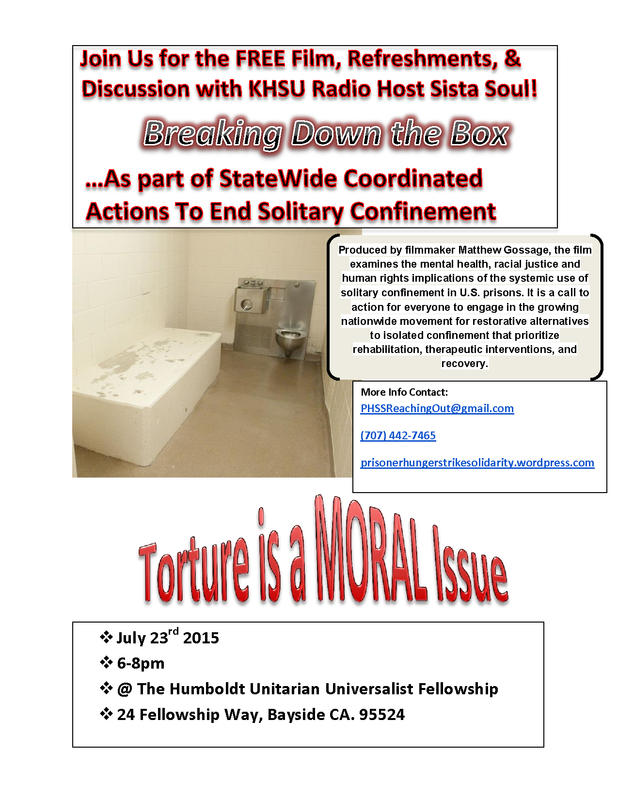 Community organizations, families and loved ones of people in solitary, and prisoner human rights advocates across California and the country will be mobilizing a day of Statewide Coordinated Actions to End Solitary Confinement on July 23, as part of an ongoing series of monthly actions to oppose solitary confinement. 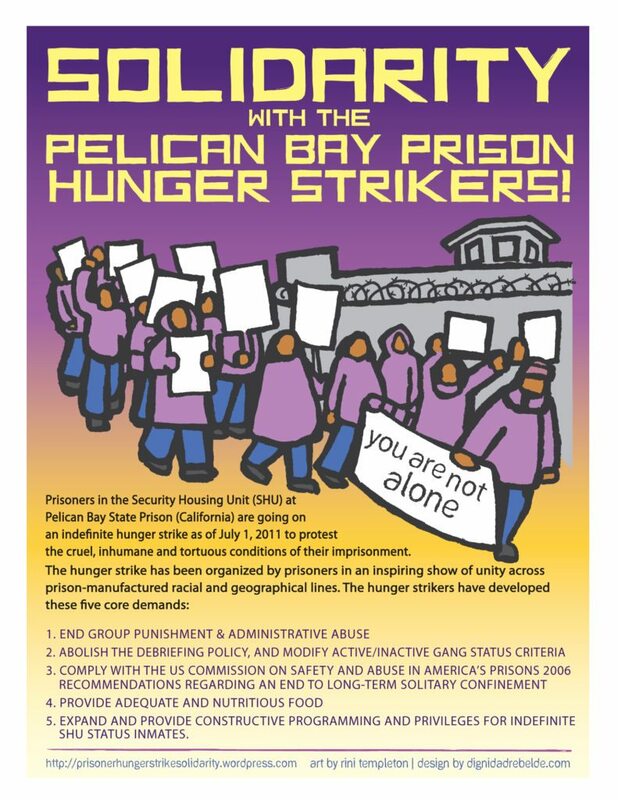 July 2015 marks the two year anniversary of the largest prisoner hunger strike in history, when over 30,000 prisoners in California began refusing meals on July 8, 2013 for two months in a protest initiated by people in Pelican Bay State Prison’s solitary confinement units. Where: Over 13 cities in California and across the country, including Oakland, Los Angeles, Santa Cruz, as well as in New York, Boston, Philadelphia, and more. 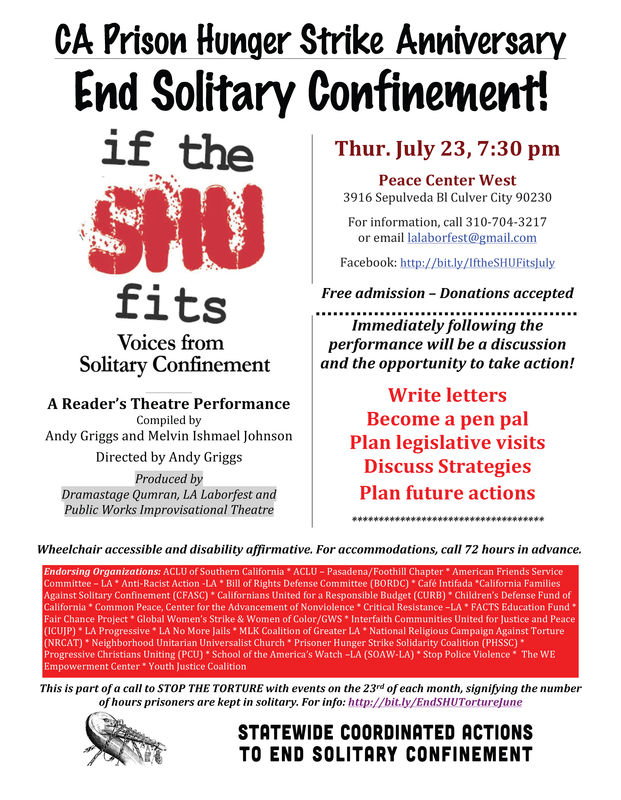 See http://tinyurl.com/ActionsAgainstSolitary for information on all planned actions.